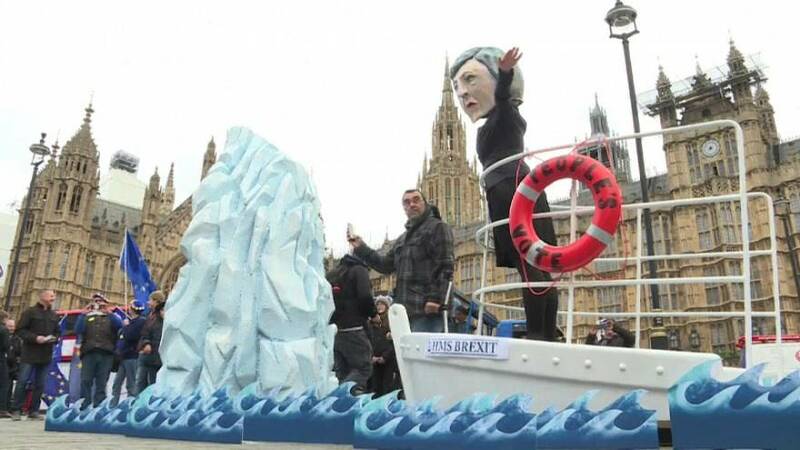 Hours before parliament voted on Prime Minister Theresa May's withdrawal deal, activists set up a small ship called the "HMS Brexit", that resembled the Titanic heading towards an iceberg. A model dressed as Theresa May stood on top, looking through a telescope, alongside an orange life ring with "People's Vote" written on it. The stunt was part of a joint campaign between global activist group Avaaz, anti-racism campaigners Hope Not Hate, and anti-Brexit pressure group Best for Britain.